After all the build up of events leading to the actual beginning of school, it has finally begun. Unless you’re a teacher, it is really hard to fathom the amount of energy and preparation that goes into opening up the school year, even if you’ve done it a couple (or dozen) times. That first two weeks of school was a pretty busy time for us getting ready and accustomed for our new batch of kiddos, so the concert load was light. But, Langhorne Slim was in town, which meant planning for day #8 of the school year had to be done beforehand because we were absolutely going to be at Headliners. Sean Scolnick, the real man behind the performer Langhorne Slim was celebrating a very real 35th birthday, so instead of his signature hat, he wore a gold crown the majority of the evening. Beyond the different head wear, the show was very much what I’ve come to expect from him. The band had stopped by World Cafe to chat with David Dye about the new album, The Spirit Moves, and Scolnick made the comment that he gets nervous before shows – I don’t buy it for a second because the man is so clearly in his element when he performs. 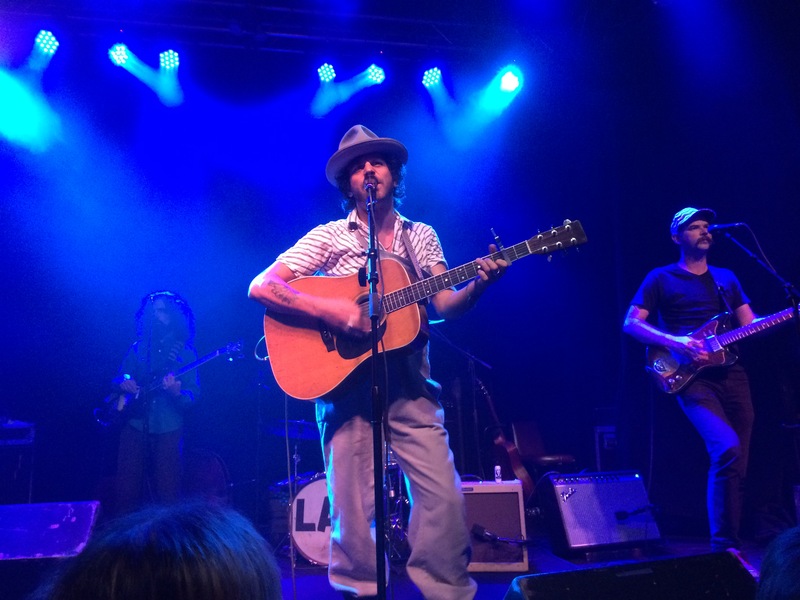 This psyche is infectious: as Langhorne Slim and The Law began playing, a serene and comfortable, yet euphoric feeling took over my body. It had been a while since we’d been at a show where the energy was so contagious that all exhaustion disappeared (especially from our first full week with students). Until that point, I don’t think I’d realized how much of a high I get simply from attending a proper show…I guess it is how I got into this whole thing. We weren’t the only educators in attendance – both Brittany and I saw coworkers in the crowd. It seems we all needed to let off a a little steam. Even now, a couple of weeks later, it’s invigorating just thinking about the show because it was just that good.